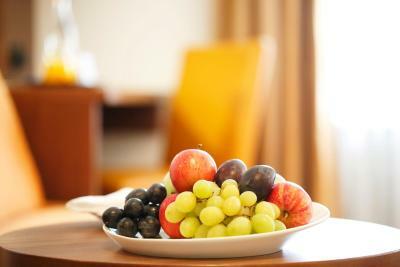 Lock in a great price for Walhalla Hotel – rated 8.5 by recent guests! 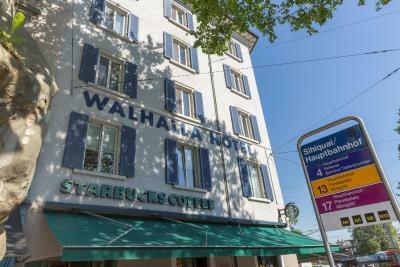 Good location Near Zurich mail train and bus station Near Zurich City center There are many places to eat. Close to the tour bus and complimentary cappuccino. The hotel is clean and the staff is very friendly. 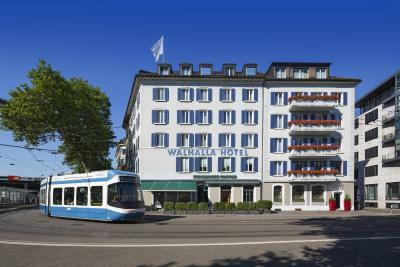 The hotel is very near with bus, tram and train station. The location is fantastic and convenient! Breakfast is decent and adequate! Very convenient to multiple forms of transportation. The lady that checked us in upon our night arrival was very nice and helpful. Didn't get her name and only saw her one other time. Day staff not as friendly but helpful. Front staff is very exellent!!! Vaiety of jam is waiting for you. 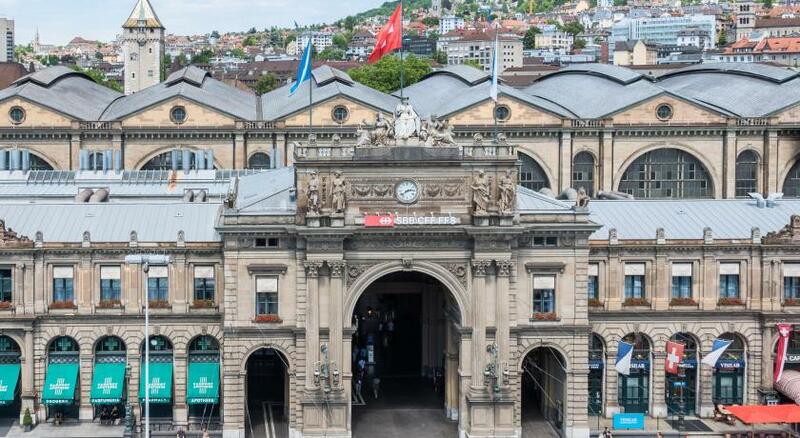 Location is so close to Zurich HBF and platform building , so you don't need to walk pass Museum to HBF at all. I wil stay again definitely. The location was great. One staff at the counter (I think her name was Andrea) was excellent. The location was marvelous and all of the staff were engaging and pleasant. Delicious breakfast and the concierge phone was the bomb!! Walhalla Hotel This rating is a reflection of how the property compares to the industry standard when it comes to price, facilities and services available. It's based on a self-evaluation by the property. Use this rating to help choose your stay! Only 350 feet from Zurich Main Train Station and the Sihlquai Tram Stop, the Hotel Walhalla provides free Wi-Fi throughout the property. The rooms with private bathrooms include satellite TV, a tablet computer and a safe. A varied breakfast is available every morning. Train connections to the airport leave every 10 to 15 minutes. Within a 5-minute walk, there are banks and a shopping center. 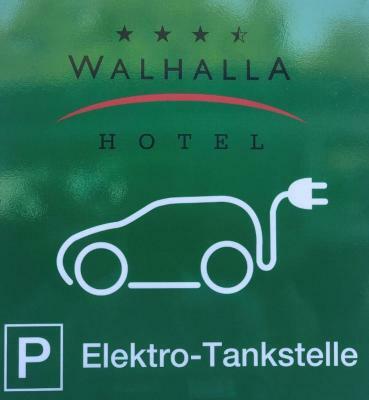 A public parking garage (Parkhaus Hauptbahnhof) is a 1-minute walk from the Walhalla Hotel. 1. Zurich Old Town - City Center is a great choice for travelers interested in old-town exploration, shopping and walking. 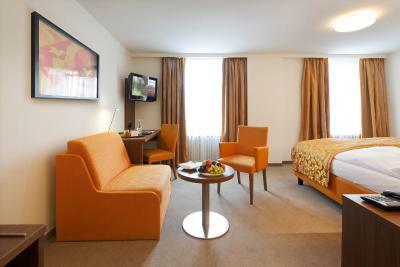 This is our guests' favorite part of Zurich, according to independent reviews. 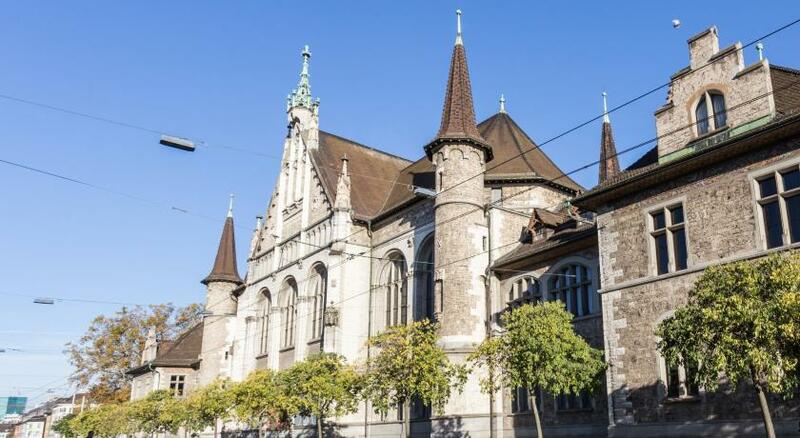 This property also has one of the top-rated locations in Zurich! Guests are happier about it compared to other properties in the area. 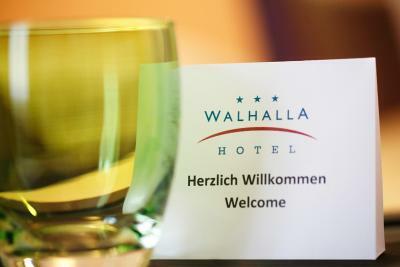 When would you like to stay at Walhalla Hotel? This room has a private bathroom, a laptop-size safe including a charging plug, a flat-screen TV with satellite channels, a tablet computer and a DVD player. The beds are 3 ft wide. Public parking is available at a location nearby (reservation is not needed) and costs CHF 30 per day. This room with a private bathroom features a laptop safe with a charging plug, a flat-screen TV with satellite channels and a DVD player. It also includes a writing desk and coffee and tea-making facilities. The bathroom has a shower or a bathtub, a hairdryer and free toiletries. The beds are 35 inches wide. This spacious room features a bathtub and a tablet computer. 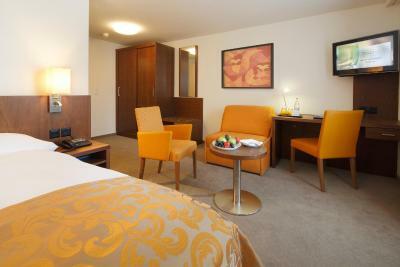 This room features one double bed and one single bed. A tablet computer is also included in the room. Hotel surroundings – This neighborhood is a great choice for travelers interested in old-town exploration, shopping and walking – Check location Excellent location – show map Guests loved walking around the neighborhood! The old town's brightly painted houses surround Lake Zurich and the crystal-clear Limmat River. There are enough quirky shops and restaurants here for endless exploration. 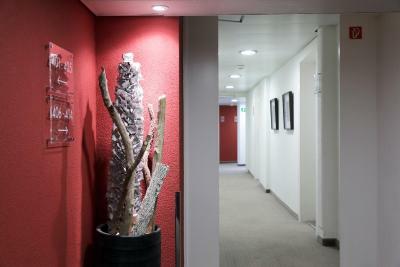 House Rules Walhalla Hotel takes special requests – add in the next step! Walhalla Hotel accepts these cards and reserves the right to temporarily hold an amount prior to arrival. Good bed , tasty breakfast and perfect location. Internet voucher is applicable for 3 devices only. There is no restaurant or even a microwave in case you want to heat some food. 2min walkinf from main Train Station. Historic downtown 5-10 min walking. Vwry quiet and superb breakfast. 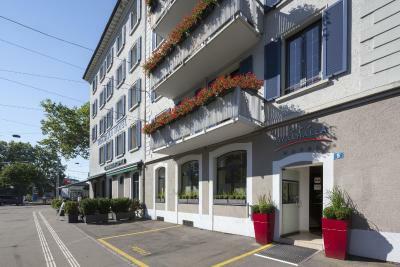 Knowing Zurich is a very expensive city, looks like a good choice for a couple of nights. A few menu of breakfast. Clean room and good location. Very close to Zurich main station. Breakfast was good but not what we are use to. Fantastic, friendly and helpful staff. 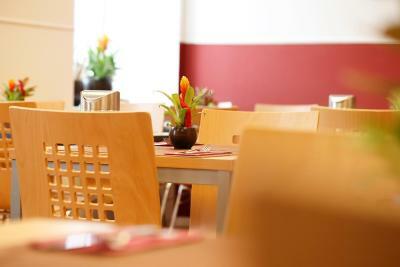 Very close to the train station, few minutes walk from supermarket. Staff was very helpful and friendly. They also offer tea and coffee at the entrance which was quite nice! The elevator is quite small. The room size was way too small. The room was so small that I was suffocating throughout my stay. I got very tight spaces to put all of my luggages & belongings. There was no window in my room. No regular sugar & black tea bags were available in my room. There was no soap bars in the bathroom. There were not enough items available for breakfast. I expected to have more breakfast items to suit for foreigners of different cultures & religions. 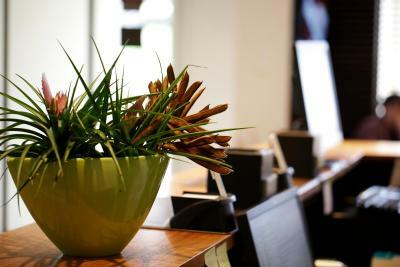 The staff members & the front desk personnel were very friendly, smiling, & helpful. They guided me very clearly to go to various areas I wanted to go. The location of the hotel is absolutely great. Carpets look a little tired and breakfast room is rather compact. Wifi dropped in and out. Staff did not replace the faulty electric jug in our room even though we asked room maid on the first day. Staff did, however, offer different types of pillows when requested. Location three minutes walk from Main station. It’s also opposite the long distance bus station which may be useful for some travellers. Trams go right past the hotel. Room is quite spacious with good lighting, which is a bonus in a hotel room these days. Lobby has free coffee available all day, plus you have your own electric jug in room. The mobile phone that is available for guest use is a generous gesture. Weak wifi signal from my room. 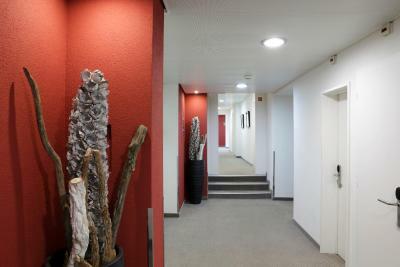 Location very near to Zurich train station. Absolutely convenient.